Donna Pazdera, 56, has been running for the past seven years. She was introduced to the sport by a friend in her late 40s and has been running marathons ever since. Healthy and active in this lifestyle, Pazdera didn’t see any issue in being an athlete of elevated age until she crossed the threshold of 50. Pazdera recalls preparing to run at Wild Hare outside of La Grange, Texas, a few years back and needing some training help. David Zuniga, fellow runner and friend, helped Pazdera adopt a training plan that would help her keep up with runners much younger than her. Set on crossing that finish line, Pazdera trained hard and completed the race in 14 hours and 41 minutes. To this day she considers that race to be the most special to her. Pazdera said that strength training and allowing your body to rest are two of the most important things in order to keep yourself going and prevent injury. She takes specialized strength training classes twice a week focusing on core strength, aerobic capacity and speed work. Pazdera has no children or grandchildren of her own, so she relies on her running community to keep her motivated and driven. 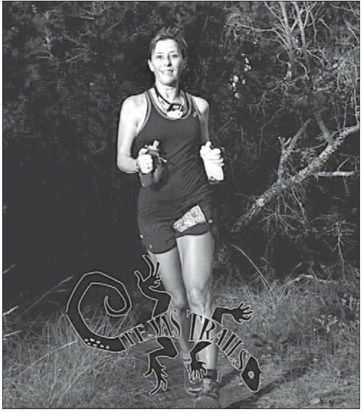 She enjoys meeting with friends on weekends and taking on the trails at some of her favorite running spots such as the Mission Trails, Bentsen State Park and McKelvey Park in Harlingen. “It’s easy to make excuses or cut it short when you’re by yourself, but running with others is good for keeping you honest,” she said. As far as any advice for new runners, Pazdera says patience and planning is the way to go. To suggest runners to be featured in The Monitor, contact Amanda A. Taylor at aalysetaylor @themonitor.com.